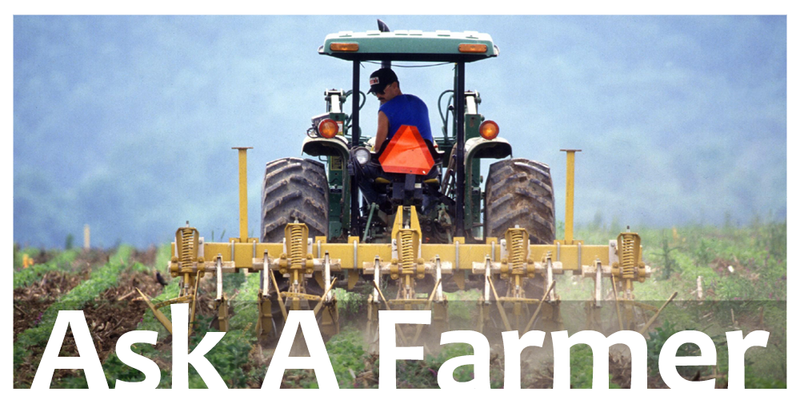 Ask A Farmer connects museum visitors to farmers nationwide for real-time conversations about American agriculture. Curious about where your food comes from? 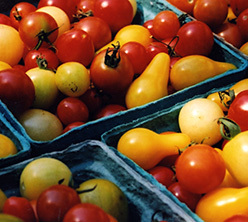 How are farmers innovating American agriculture today? 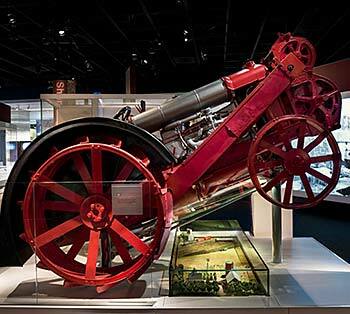 Ask a Farmer is a public program at the Smithsonian’s National Museum of American History that connects museum visitors with farmers for conversations about the past, present, and future of American agriculture. Participants hear directly from farmers through live video feed or in person about what motivates them, what challenges them and how they are innovating American agriculture. 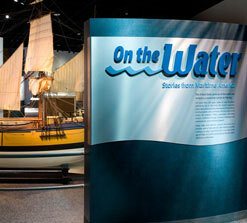 This program relates to the agricultural artifacts and stories in the museum's exhibition American Enterprise on the first floor of the museum. For over a year, Ask a Farmer brought farmers from across the country into the museum through video chats in real time. In July and August 2016, we filmed these special group sessions with real farmers in person here at the museum. Video from the Latinos in Agriculture session will be posted when available. This series of group sessions is made possible through generous support from the U.S. Farmers & Ranchers Alliance. 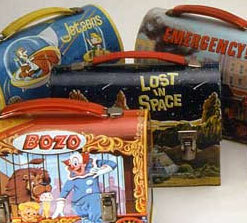 Stay tuned for upcoming programs - subscribe to the Smithsonian Food History newsletter for the latest information! Scott joined us from Hedgeapple Farms in Buckeyestown, Maryland. 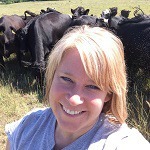 On the farm, they primarily raise Black Angus cattle and pasture land for cattle feed. They also run a retail operation selling direct to consumers. Hedgeapple Farms has been in Dr. Barao's family since 1956, though the land they farm dates back to 1731. Scott showed how farmers make decisions for economic and environmental sustainability and encouraged visitors to go out and talk to farmers in their own communities. 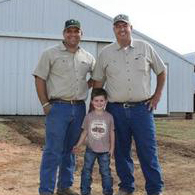 Brandon and his father-in-law, John Batey, joined us from Batey Farms in Blackman, Tennessee. Batey Farms grows soybeans, corn, wheat, and strawberries and markets over 800-head of hogs each year in addition to running a small storefront on their property. Brandon and John shared how technology and urbanization have influenced and impacted their farming practices, and even ended our conversation with an original song, "Farm Strong." Bill joined us from Beam Farms in Elverson, Pennsylvania. 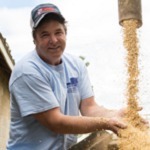 Bill and his wife operate a grain farm where they grow soybeans, corn, wheat, and hay. 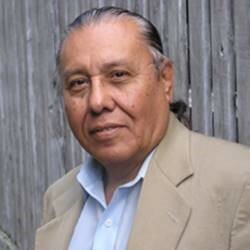 The land has been in the family for three generations but has been farmed for nearly 300 years. Bill walked our visitors through a typical harvest season for soybeans and the many products that his beans contribute to. 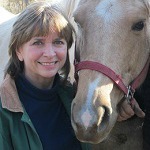 JoAnn joined us from Fairwinds Farm & Stables in North East, Maryland. The Dawsons operate a bed and breakfast on their horse farm for guests to experience farm life with a goat, fish pond, chicken coop, and honeybee hives on the family's land. They also sell hay and teach riding lessons. She discussed horse care and grooming and how she decides what businesses to pursue on the farm. Chuck owns and operates the Rocky Point Creamery, a 200-cow dairy farm and ice cream parlor in Tuscarora, Maryland. The farm is 1,500 acres. 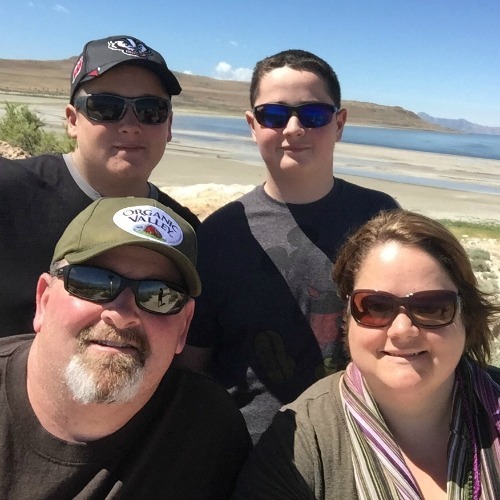 Chuck was born into dairy farming and answered questions about how to begin pursuing a career in agriculture. 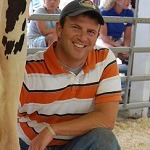 Todd is the director of Historic Wagner Farm, one of the last working dairy farms in Glenview, Illinois. The farm is owned by the Glenview Park District and was originally a larger family farm owned by the Wagner family since the 1850s. The farm is home to dairy cows, chickens, draft horses, and pigs. Todd explained the many programs and public events at the farm, from markets to exhibits, that explore the past and present of farming in Illinois. Katie joined us from Heger Farms in Underwood, North Dakota. The Hegers grow corn and grain for animal feed. 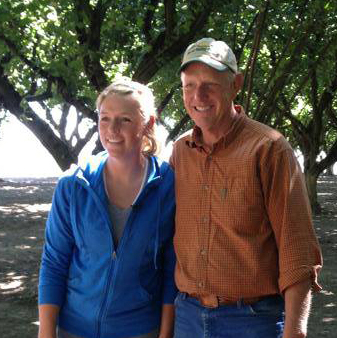 Katie grew up in Minneapolis, but her husband's family has been farming for three generations. She talked about becoming a farmer herself and how her farm works with the local community to host events and fundraisers to give back. 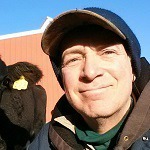 Glenn is a second generation Maryland dairy farmer at Shirley Farms in Westminster, Maryland. The farm currently houses 150 dairy cows. About 80 of those cows are milked twice a day. Shirley Farms belongs to a dairy cooperative that takes the milk off-site for processing along with milk from other local dairy farms. Stacey joined us from Forshee Farms in Delphos, Kansas. 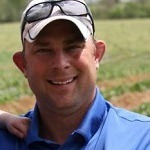 Established in 1990, Forshee Farms LLC is owned and operated by David and Stacey Forshee and their three children. 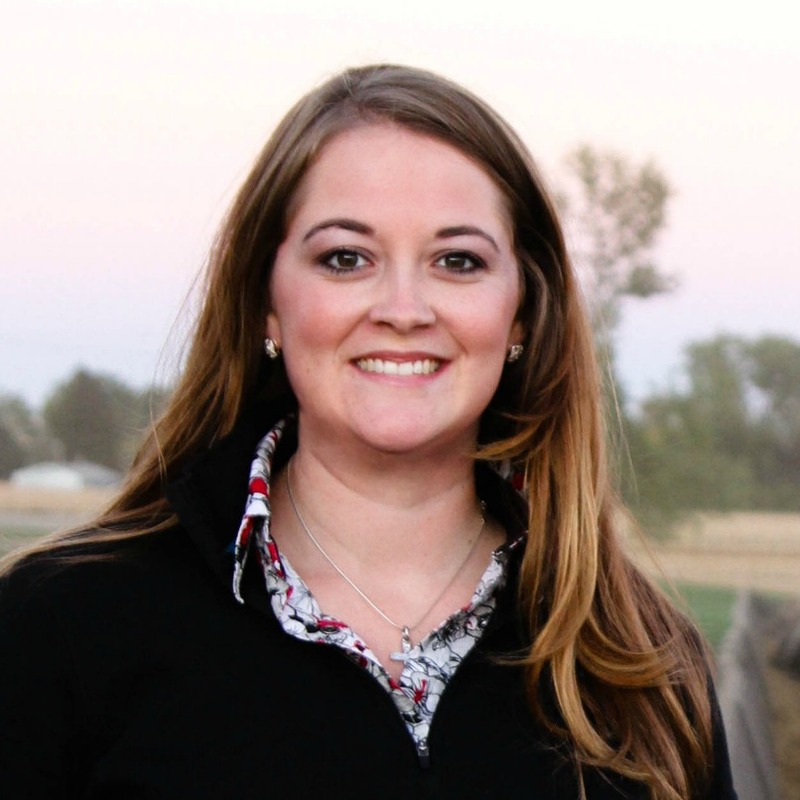 The Forshee family grows crops like alfalfa, corn, and sorghum for sale to beef feedlots and dairies and to feed their own herd of beef cattle. Visitors commented on the wide variety of crops and businesses, from wheat for human consumption to cow feed to raising cows, at Forshee Farms. Stacey said this variety helps their business stay sustainable and storng as all the different markets fluctuate. 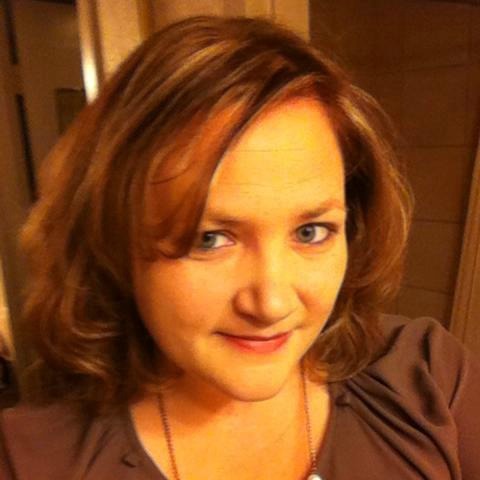 Elizabeth is a veterinarian and farmer in Twin Falls, Idaho. 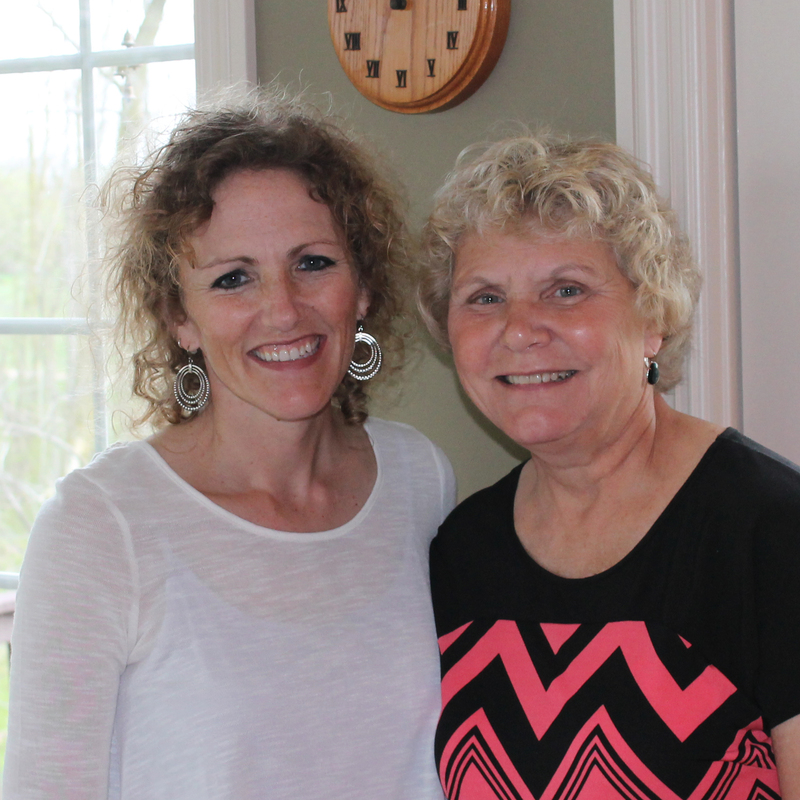 Growing up on her family’s dairy farm inspired her career as a dairy veterinarian. 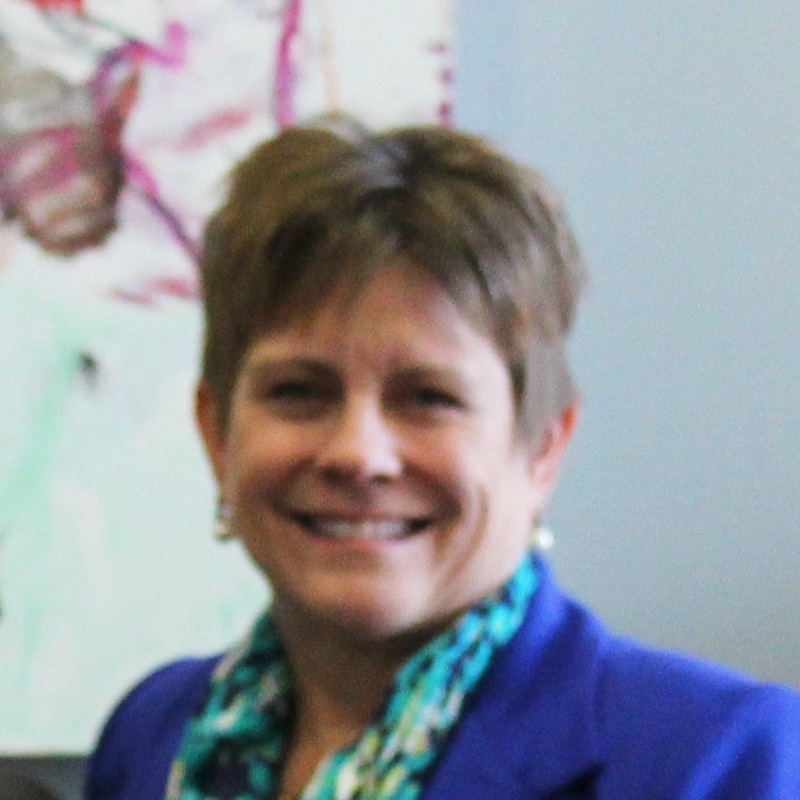 Now she consults with dairy farmers and provides testing services at the milk quality lab she owns and operates. She also works with her nearby family to raise sheep and grow crops including corn and alfalfa. Elizabeth answered questions directly from the cow barn. She showed the collars that track each cow’s activity level to alert the farmer and veterinarian to cows that may be ill or ready to give birth. 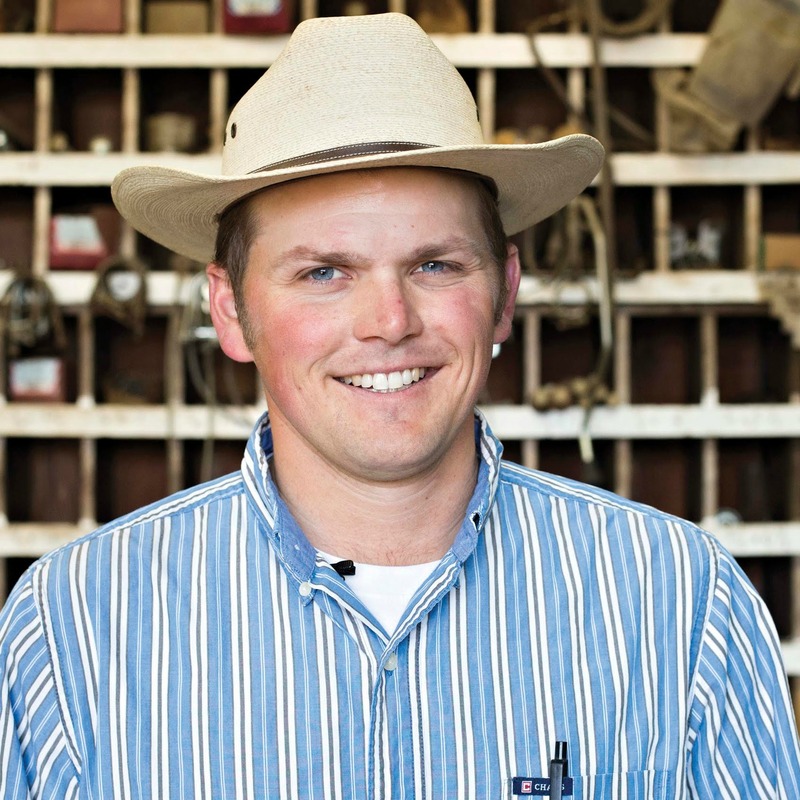 Josh is a fourth-generation cattle farmer and rancher in Wall, South Dakota. His family is still farming where his German great-grandfather settled in 1907 with 160 acres from a Homestead Act land grant. Josh described his motivation to farm as something he knew he always wanted to do. In his experience, farmers are deeply influenced by tradition but also always looking for innovations and advances that will help their business. 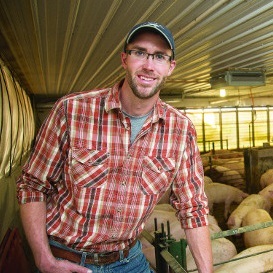 Thomas works with four families, including his own, to raise pigs and grain in Elkhart, Illinois. His family established the farm in 1962 with 240 acres for one family and today the farm encompasses over 1,500 acres of corn, soybeans, and hay as well as 12,000 pigs born and raised to market each year. Thomas told visitors about essential oils recently added to the pig’s feed to boost immunity and explained what happens when new piglets are born. 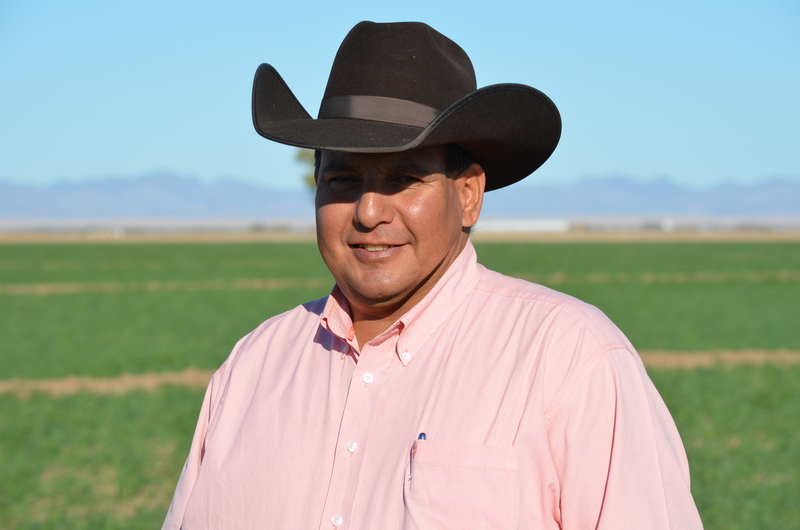 Jay grew up farming with his father in Las Cruces, New Mexico. Hill Farms grows pecans and vegetable crops like lettuce, onions, corn, chiles, and pinto beans in rotation. 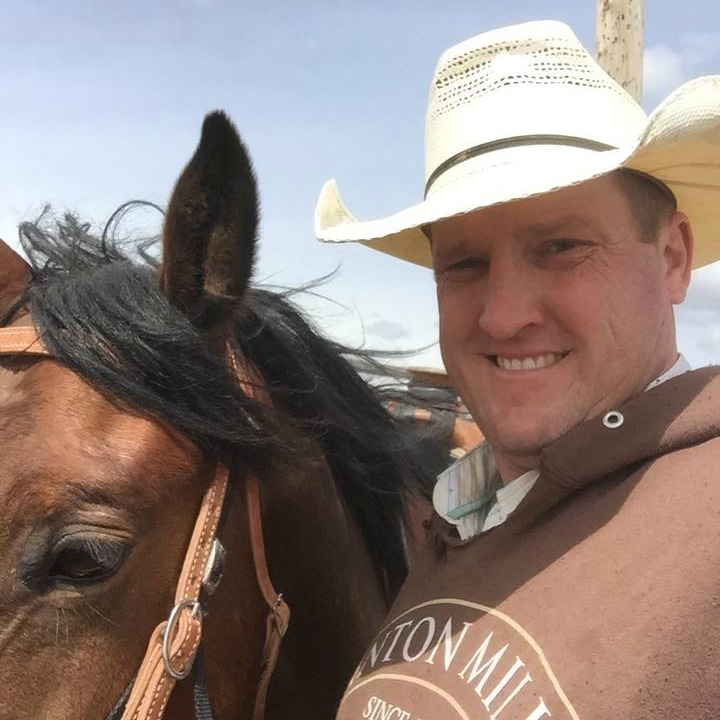 In 2012, Jay started a beef cattle herd which has grown to 60 cows. 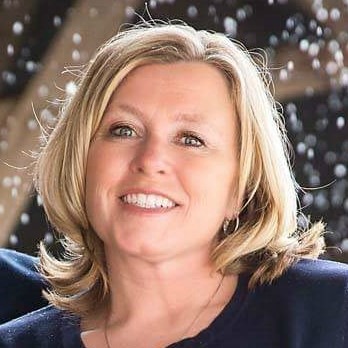 Carla and her husband, Kris, are the sole owners of Evergreen Dairy in St. Johns, Michigan. She is the sixth generation to be farming on her family's farm where they milk 400 cows. 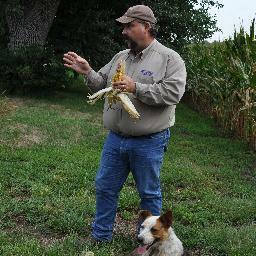 Carla and Kris also grow crops to feed their cattle on 850 acres of corn, alfalfa and pasture. 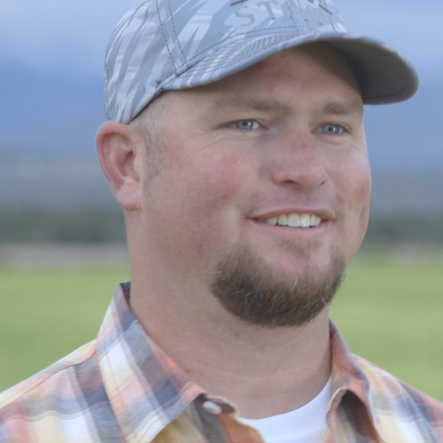 Daniel is a fifth-generation farmer working with his father and grandfather in Westley, CA. Their farm grows apricots, almonds, walnuts, tomatoes, lima beans, melons, and wheat hay. 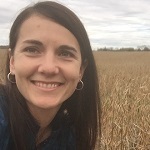 Emily and her husband John are the third generation on their farm where they raise a flock of 40 purebred Southdown sheep and grow corn and soybeans. 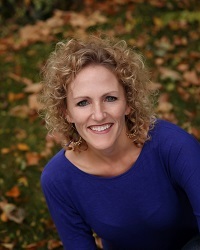 Off the farm, Emily is an associate professor in agricultural communication. Glenn is a fifth-generation farmer and rancher who works with his family to raise cattle, sheep, and crops like corn and soybeans. Glenn talked to us about developing a diversified farm and living in an area where growing population creates competition for farmland. The Heisner family runs an organic dairy farm in Wisconsin. Adam and Amanda answered questions about how milk is collected and processed. They also explained why they chose to switch to organic dairy farming 16 years ago. Female farmers joined us for a live panel discussion about women in modern agriculture moderated by Susan Evans McClure, Smithsonian Food History Program Director. Video of this program is available above. Farmers whose land and farms have been in their family for generations joined us for a live panel discussion on history, agriculture, and the future, moderated by Susan Evans McClure, Smithsonian Food History Program Director. Video of this program is available above. As part of the museum's Hispanic Heritage Month programming, meet Latino farmers who are innovating American agriculture and catch a live panel discussion moderated by Susan Evans McClure, Smithsonian Food History Program Director. Video of this program is available above.